This tutorial will teach you how to reset the TZ25 Epson Stylus printer in nine easy steps. The T25 Epson Stylus is a high-performance printer using an individual ink cartridge, meaning you do not have to buy the tricolor pack cartridge. This printer can fit anywhere due to its small size and shape. Windows® 7, Windows Vista®, Windows XP, Windows XP Professional x64 Mac OS® X, 10.4.11, 10.5.8 - 10.6.x operative systems and you can also print in Letter, Legal (21,6 x 35,6cm), A4, B5, A5, A6, report, executive, statement sizes, user-defined: (8.9 to 21.6 cm) x (8.9 to 111 , 7cm) envelopes: No. 10, DL, C6 and the common, bond types of paper, coated paper, paper with matte finish paper with glossy finish and semi-gloss, self-adhesive and others. 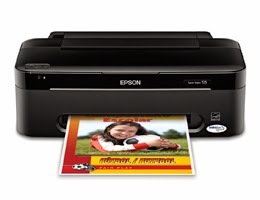 Before resetting this Epson printer or any other printer you must take into account that no other printer can be plugged to the same computer, regardless to their brand, this printer and the computer must be fully working and plugged. You need to download a program to be able to perform the resetting process of this printer download the program by visiting the resetting for Epson Stylus T25 printer. 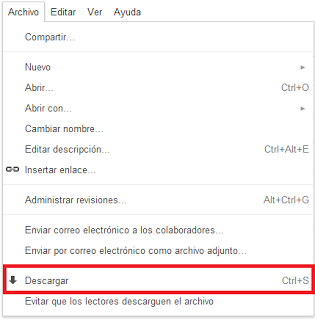 This document is hosted on Google Drive, in case you do not know how to download this file see our guide manual on how to download it. When you get in the document in Google drive what you have to do is go to “File”. Located on the top left of your screen. After unzipping the file double click on the file with the following image. What you need is to run this file and it can be done by right-clicking twice on it and run it. 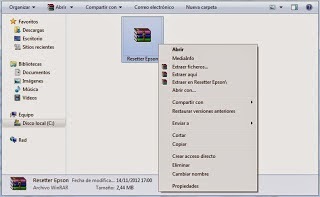 In Model Name the name of the reset you are trying to install will be shown since the "Destination" part won’t be modified and in Port leave the default option, in this case, is "Auto Select" see the above image, If you have any question, please leave a comment in the comment sections below. In this step you have to be really careful, any other options chosen by mistake can be disastrous for your printer, so much so that it can delete the printer settings forever, it is recommended to select just the option we will tell. This will restore the printer and indicate that there is no ink waste, although doing this procedure you must be aware that the ink waste is full, though perhaps the printer gets to indicate this due the number of pages printed, the truth is that it can cause damages over time. Now choose all the options display to select, afterward click on CHECK, to verify that everything is all right, click on ACCEPT, then click on INITIALIZATION and when the process is finished click on FINISH. In case the results obtained in this post are not what you expected, contact us by leaving a comment and we will gladly answer. It is important for you to download the printer drivers for Windows XP/Vista/7, get this printer user manual for free, (HTML) with this one you will be able to read well the factory specifications of the printer.